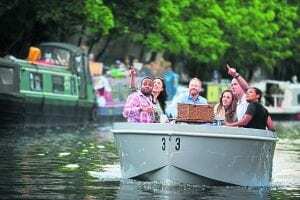 VISITORS and Londoners alike can once again charter their own electric boat without the need for a licence or captain. GoBoat has been taking advance bookings for its popular hire boats and slots are available from 10am until dusk; weekends only in March then seven days a week from April. The favoured route is to go along Regent’s Canal to Little Venice, past London Zoo and on to Camden Lock where skippers can about turn and head back to the pontoon at Paddington Basin. Each boat has seating around a central table creating a sociable space ideal for groups of friends, families with kids and even dogs are welcome on board. It makes a great date activity too – passengers are encouraged to take their own picnic and bubbly; GoBoat will provide cosy blankets if the weather turns chilly. The ride is about 4mph, the perfect cruising speed for a lazy waterways journey. The boats are eco-friendly, made from 80% recycled plastic bottles, fitted with electric engines and sustainably sourced wood. 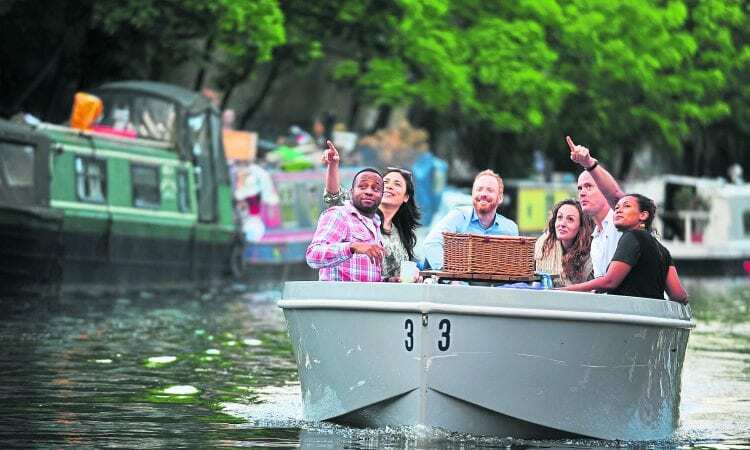 GoBoat is making London’s waterways accessible to everyone by providing an independent canal experience. With prices starting from £65 for one hour, punters can invite up to seven friends to join them which amounts to about £8 per head. GoBoat London is based at Merchant Square, also home to London’s first floating park. The Floating Pocket Park forms a new vision for Paddington that includes a water taxi service, floating visitor centre and cafe barge.